Gamble and Romney on May 24. Seated beside Gamble, Romney joined other local figures for a roundtable (video here) in which he discussed ideas for attracting good teachers, involving parents, and boosting achievement. Romney generously praised Gamble, at one point turning to him and saying, "I'd like to get your experience from the front lines and first salute you for the investment you've made, financial and personal, in establishing a pathway for hundreds, thousands of young people to have changed lives." Gamble led Romney on a tour of the facilities as well. No less disconcerting, the Romney campaign appears not to have done any serious follow-up on Gamble despite drawing criticism from bloggers for the trip to an "Islamist-owned charter school." Thus, Romney compounded the previous error by eagerly dropping Gamble's name multiple times during NBC's Education Nation summit in New York on September 25. Wherever Romney originally heard about Gamble and Universal, it probably was not from the websites of Middle East expert Daniel Pipes, Islamist Watch, or Militant Islam Monitor, which for years have documented Gamble's troubling agenda — a history that should make him toxic to any politician knowledgeable about stealth jihad. 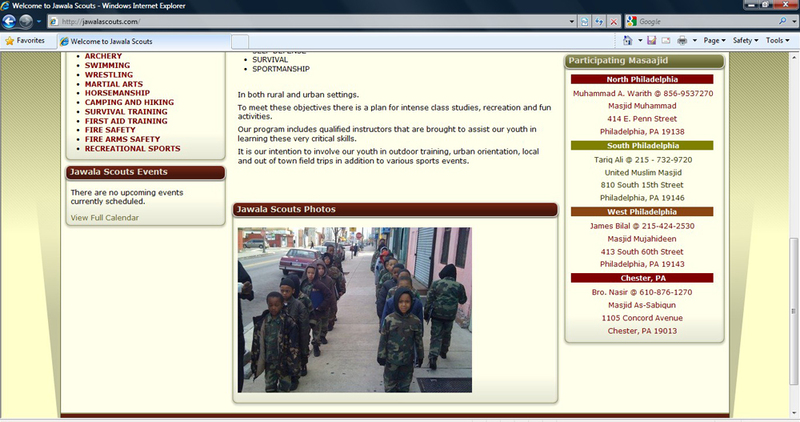 Jawala Scouts in training, as pictured on the group's website. An African-American music and real estate mogul, Gamble has long been listed — under his alternate name, Luqman Abdul Haqq — as part of the governing council of the Muslim Alliance in North America (MANA), which is among the most radical U.S. Muslim groups. Its formation was inspired by Jamil al-Amin, a convicted cop killer and Islamic separatist who dreams of a Shari'a-run state; he enjoys MANA's support to this day and even has phoned into MANA meetings from prison. Gamble's other MANA colleagues have included Luqman Ameen Abdullah, who preached jihad against the U.S. and was shot to death after initiating a gunfight with federal agents in 2009, and Siraj Wahhaj, one of the "unindicted persons who may be alleged as co-conspirators" in the 1993 World Trade Center bombing. Just as several MANA leaders have championed the building of closed Islamic communities, Gamble outlined his own "model" for them during an interview on Saudi television. Worse, he is suspected of actually using his enormous South Philadelphia real estate holdings to assemble what has been dubbed a "black Muslim enclave." 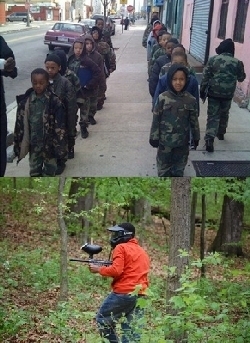 Confronted in 2007, Gamble responded with a rant portraying segregation as natural. "It's like cats," he insisted. "They're all cats. But you don't see the lion with the tiger. You don't see the tiger with the panther." Equally alarming are Gamble's intimate ties to the Jawala Scouts (photos here), aptly described as an "Islamic paramilitary boys group" featuring "hand-to-hand combat, firearms training, and survival tactics." Additional background is available in an Islamist Watch article from 2008, published after Gamble left his fingerprints on that year's election by hosting an Obama office. 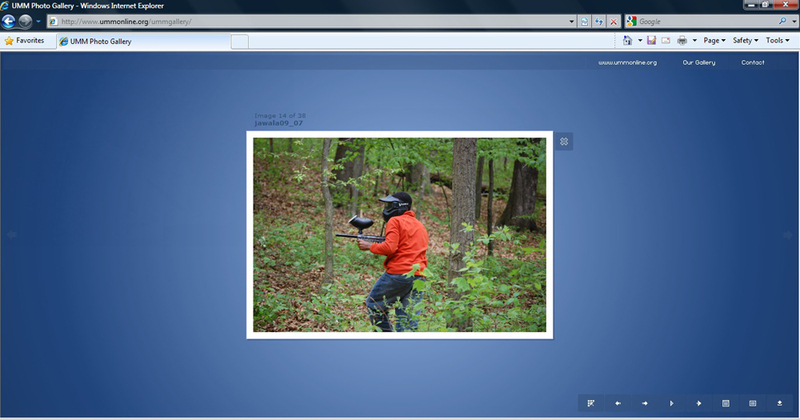 Alternatively, a simple online search yields plentiful data. What makes the Romney-Gamble flirtation so unsettling is the apparent lack of due diligence in determining who does and does not get endorsed by the man who could be the next leader of the free world. Ten minutes on Google should suffice to raise red flags, but did anyone from the campaign bother to look? More disturbing is the possibility that uncomfortable facts turned up but were dismissed as tangential to Gamble's work in education. "Saluting" somebody like Gamble for one facet of his life while ignoring the rest imparts an aura of respectability to the individual as a whole, easing the path for his less savory projects. This seems to be understood for every group except Muslims. Imagine, for example, a senior figure in a radical Christian organization whose luminaries have been linked to violence and terrorism, a man who has shrugged off charges of constructing a "white Christian enclave" and been involved with a youth movement whose participants march in fatigues and brandish weapons. Regardless of his other accomplishments, would this person be asked to share camera time with a presidential hopeful? The question answers itself. The role of the media is significant here. Though they would hammer any candidate who bolstered the analogous Christian radical, mainstream news sources that covered Romney's Bluford visit made no mention of the skeletons in Gamble's closet, illustrating that their see-no-evil mentality vis-à-vis Islamism trumps even their instinct to shame Republicans. Indeed, the obvious hypersensitivity and double standards protecting Islamists can foster complacency among politicians of both parties, who assume that they will not be held accountable for palling around with them. This certainly has been the case in Philadelphia, where Mayor Michael Nutter has suffered no ill effects from having Gamble on his inaugural committee, personally presenting the sign to rename a block in Gamble's honor, and headlining the dedication ceremony for a taxpayer-supported mural that lauds him. Such legitimization has paved the way for Gamble to build his Islamist-tinged empire through massive government assistance, including dirt-cheap property from the city, sweetheart deals with the School Reform Commission when it was chaired by a onetime Universal board member, and regular feedings at public troughs that span the municipal, state, and federal levels. Rather than provide a "they do it too" excuse for politicians caught befriending Islamists, the Philadelphia establishment's cozy relations with Gamble only underscore the importance of a critical eye and the will to act on it — in other words, real leadership. As radical Muslims aggressively seek similar openings to win undeserved respect and influence governments both nationally and internationally, a president capable of recognizing and shunning them is more vital than ever. Washington's colossal and bipartisan failures in Muslim outreach — most recently seen in the mind-boggling selection of an Islamist to represent the U.S. at a conference on human rights — have done enough damage already. Islamists have grown adept at hiding in plain sight, so great care must be taken when choosing which Muslims to engage and extol. 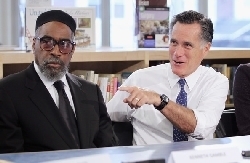 With luck, airing the embarrassing facts behind his unfortunate promotion of Kenny Gamble / Luqman Abdul Haqq will be the wake-up call that Mitt Romney needs to learn this lesson now and, should he prevail on November 6, be in a better position to succeed where past presidents have faltered.